All prices include UK P&P; overseas P&P should be calculated automatically at time of online payment. also, if the "Continue Shopping" button in the order window does not work, it's OK just to minimise or even close the window. Trade customers- please inquire about bulk discounts. Compiled by David Bradbury. ISBN 9781904367338. The third volume in this series looks at the history of the village of Brigham, near Cockermouth. As with the previous volumes, sources range from books and newspaper articles to archival documents. The book is illustrated with drawings of ancient sculptures in the parish church, and maps. By David Bradbury. ISBN 978-1-904367-32-1 . 56 pages A5, £4.00 sterling Introductory bargain price! The second sequel to 'Fate's Ingenuity': many more very short true stories of accidental deaths recorded in Cumberland coroners' records, 1771-1780. From 1774 on, reports from the county's first successful newspapers are included, which is why this book covers a shorter time span than the previous volume. Before 23 April 1778, nobody in the English port of Whitehaven had heard of Captain John Paul Jones. 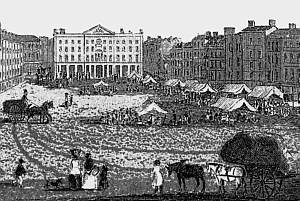 However, since well before the "shot heard around the world", the town had been suffering from the effects of the angry dispute between the British government and the American colonies. This pdf book tells the story of how the escalating crisis affected the town before Jones's 1778 "invasion", beginning with the tale of local teacher Jonathan Boucher, who had emigrated to America many years earlier and whose naive Christianity entangled him in the build-up to revolution, then continuing through boycotts, battles and bitter arguments to the moment Jones's ship Ranger was first sighted. By David Bradbury. ISBN 1-904367-28-3. The sequel to 'Fate's Ingenuity': hundreds more very short true stories of accidental deaths recorded in Cumberland coroners' records, 1751-1770. From 1752 on, records cover the whole of the county, which is why this book is thicker than the first, but covers a shorter time span. Compiled by David Bradbury. ISBN 1-904367-24-0. All sorts of surprising bits from old books and documents relating to the seaside resort village of Allonby, on the Solway Firth, including the story of Captain Joseph Huddart, and the visit of the Two Idle Apprentices: Charles Dickens and Wilkie Collins. Compiled by David Bradbury. ISBN 1-904367-27-7. 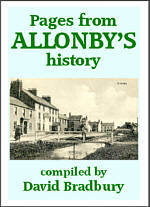 Following the success of the Allonby book, here's a companion volume, about the villages of Great and Little Broughton, with the neighbouring hamlet of Ribton, between Maryport and Cockermouth. For this book, more use has been made of the huge amount of original archival material available, in addition to generous selections from old books, newspapers etc. Compiled by David Bradbury. ISBN 1-904367-30-7. 48 picture postcard views of Eskdale and Ravenglass, dating from the Edwardian period, approximately 1901-1911, arranged as a journey up the valley from the estuary to the peak of Scafell Pikes. This book includes a section devoted specifically to the work of local photographer "T.D.S. 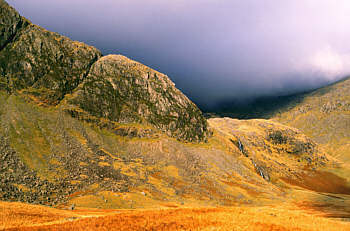 ", and the back cover features a full-colour reproduction of a picture of the Scafell range by A. Heaton Cooper. Compiled by David Bradbury. ISBN 1-904367-31-4. 48 picture postcard views of Eskdale and Ravenglass, mostly dating from the 1920s, but with an introductory section of Bassett Lowke publicity pictures of the valley from 1915. This book includes a section devoted specifically to the Ravenglass and Eskdale Railway (La'al Ratty) and the back cover features a full-colour Bartholomew map of the area from about 1920. By David Bradbury. ISBN 1-904367-23-2. A look at the history of water power in the valleys of Eskdale and Miterdale, Cumbria, including corn mills, fulling mills, carding mills, turning mills- and even a "bloomsmithy" ironworks. By David Bradbury. ISBN 978-1-904367-25-3. 125 very short true stories, all with the same ending- accidental deaths recorded in early Cumberland coroners' records, 1650-1750. By David Bradbury. ISBN 1-904367-05-4. A photographic album of a 24-hour journey through the Cumbrian valleys of Eskdale and Miterdale at Midsummer 1977, including over a dozen pictures of the Ravenglass and Eskdale Railway. The colour rendering is slightly "colder" than intended, so this book is offered at a lower price than my other photo albums. By Abel Heywood & Son, 1896. ISBN 978-1-904367-29-1. An enlarged reprint of a guidebook produced by a Manchester firm over 110 years ago, complete with adverts for local hotels etc. By Abel Heywood & Son, c1924. ISBN 978-1-904367-26-0. An enlarged reprint of a guidebook produced by a Manchester firm over 80 years ago, complete with illustrated adverts for local hotels. By David Bradbury. ISBN 1-904367-22-4. 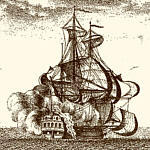 Possibly the most detailed examination ever published of the fortnight American naval captain John Paul Jones spent wreaking havoc around the Irish Sea, aboard the good ship Ranger, in April 1778. By David Bradbury. ISBN 1-904367-18-6. The story of Mary Barker, friend of the Wordsworths, neighbour of the Southeys, novelist, poet, musician, artist- and almost total non-entity. ...with a postscript by David Bradbury. ISBN 1-904367-20-8. This series of full colour photographic albums will look at different areas of the beautiful English Lake District month by month, capturing the delights and dramas of the scenery through the changing seasons. See some of Britain's major towns and cities as they were over 100 years ago, using the latest scanning and printing techniques to capture the tiny details of Victorian artwork. Printed on heavyweight cream paper. By D. Bradbury. ISBN 1-904367-04-6. The first book ever written about the unusual history of Parton, a community on the Cumbrian coast, developed 300 years ago as a rival to the nearby port of Whitehaven. By D. Bradbury. ISBN 1-904367-19-2. The sequel- explaining how so much of old Parton was demolished and replaced by new estates on a different site in the 20th century. By D. Bradbury. ISBN 1-904367-21-6. Telling the story of community life in the village against the turbulent background outlined in "Parton Part off", looking at one year per decade from the 1920s to the 1970s. By Grant Allen. ISBN 1-904367-00-3. In 1888, Allen and illustrator W. Biscombe Gardner visited the old village of Llanwddyn in Wales, just before the completion of the Vyrnwy dam. This is their account of the visit, first published in the English Illustrated Magazine in 1890, when the reservoir had filled up. By the Rev Harold Rylett. ISBN 1-904367-01-1. A detailed eyewitness report of conditions in two West Midlands cottage industries, nail making and chain making, exposing sharp practices and slum conditions. 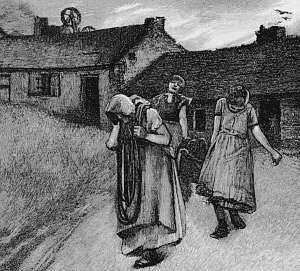 First published in the English Illustrated Magazine, 1889; illustrated by Tom Hill. By a Post-Office insider. ISBN 1-904367-02-X. A knowledgeable account of the latest developments in the General Post-Office, first published in the English Illustrated Magazine in 1888, when the G.P.O. had just started a parcel service to rival the existing network of private carriers, and was developing electrical communication in ever-more ingenious ways. Illustrated by Harry Furniss. By G. Blake Walker. ISBN 1-904367-03-8. 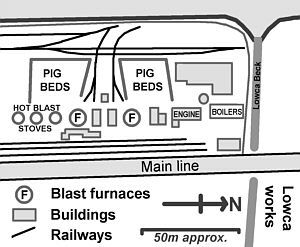 An experienced South Yorkshire colliery manager describes the way the industry is developing in the area in 1889. Dramatically illustrated by Margery May. Also includes an earlier account, of life in the Durham coalfield around 1860, from a school-book by Jane Anne Winscom.